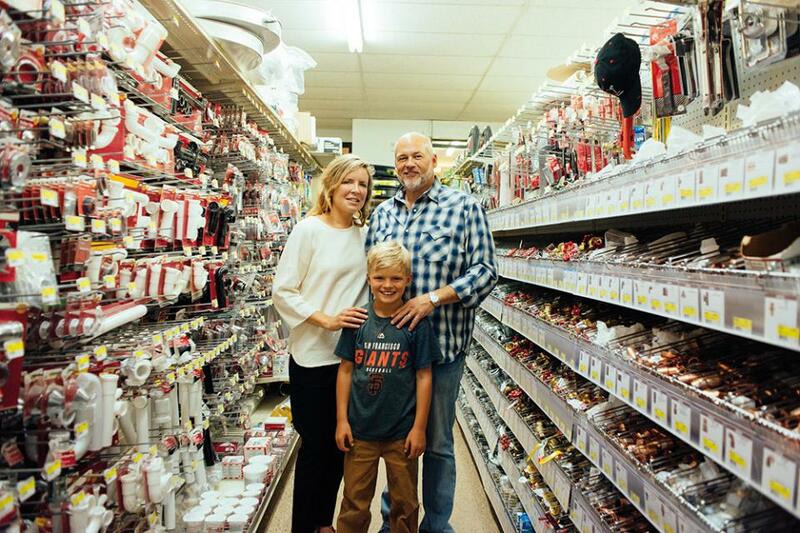 Point Reyes Building Supply Center was established in 1964 by the Von Rotz family and has been continuously serving the West Marin community for more than 50 years. In 2015, Ken and Kelli Dunaj (that’s us!) purchased the business and real estate from Jim and Gary Simon. Our goal was to put down roots in Point Reyes Station and protect the Building Supply as a “lifeline” business for the town. We moved with our now 11 year-old son Zach to a ranch in Marshall in 2013 (about 15 minutes north of Point Reyes Station). We spent many years visiting Point Reyes and Tomales Bay at every opportunity and finally decided to take the leap and move there! We knew a farm would be an incredible place to raise our son. Right away Kelli decided to establish a heritage breed sheep ranch and homestead called Spring Coyote Ranch. She relied heavily on the Building Supply Center for all of the materials from lumber to fencing. When the Building Supply was put up for sale in 2015 it seemed like a natural move to take it on. Prior to becoming a “helpful hardware man,” Ken was a corporate executive in the retail industry. After running the Building Supply on the side for a while Ken left his corporate position to focus on the store full-time. The store was remodeled and the product assortment significantly expanded in 2017. Ken always dreamed of having his own small business. To him the hardware store seemed like the American Dream come to life. We hope that Zach will want to to take it over one day. In the meantime you might find Zach sweeping up or sneaking around the candy jars. The store's daily operations are still managed by Mike and James Simon, part of the original Simon family team. Without their continuous support we would not be in the position we are today with a beautiful well-run store and a solid team of wonderful salespeople. Our staff have become like extended family and we hope that shows in the warm and inviting atmosphere of the store. If you need anything, JUST ASK! And to our local community we say THANK YOU from the bottom of our hearts for the support you have offered us over the past few years. We appreciate the warm welcome and look forward to serving you for years to come. © 2018 Pt. Reyes Building Supply & Hardware. All Rights Reserved.